A mix of clouds and sun. High 53F. Winds ESE at 10 to 15 mph.. 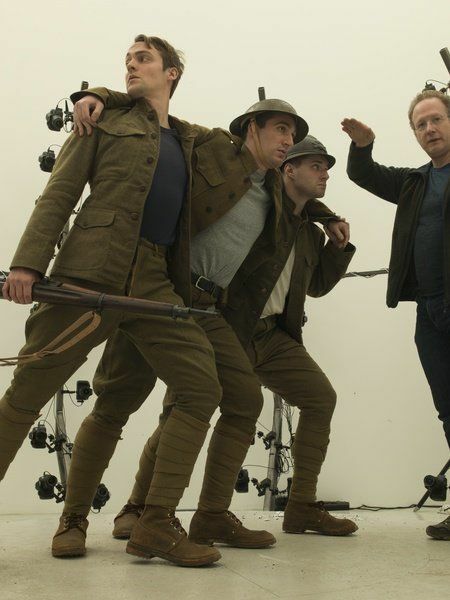 Courtesy photoNewburyport native Paul Emile Cendron, left, along with fellow actors, portray doughboys for photos that will be used to create a WWI memorial in Washington, D.C.
NEWBURYPORT — A city native has found himself at the center of a living history of World War I. The U.S. World War I Centennial Commission has been working to produce projects and activities commemorating the Great War’s centennial anniversary ever since it was created by an act of Congress in 2013. Sculptor Sabin Howard, who has a studio in the Bronx, New York, has been commissioned to create Washington, D.C.’s first World War II memorial. He has been using a first-of-its-kind, 160-camera “photogrammetry” rig to do so. “It was basically Photoshop, and iPhone and hours and hours of posing,” he said. As a professional actor, Cendron said he spent many hours researching World War I history to help him get into his doughboy role. 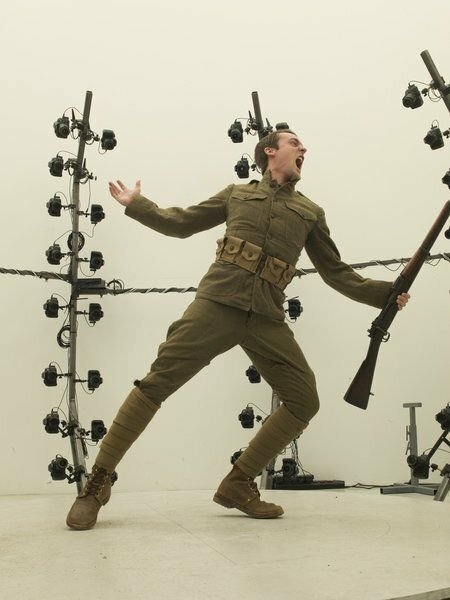 Cendron added that he feels a “tremendous responsibility” in portraying soldiers from the World War I era. Cendron said he expects to continue working on the project over the next three to five years but is currently focusing on his upcoming role as the groom in his own wedding in June. “My life is moving fast,” he said. Jim Sullivan may be at 978-961-3145 or jsullivan@gloucestertimes.com. Follow him on Twitter @ndnsully.